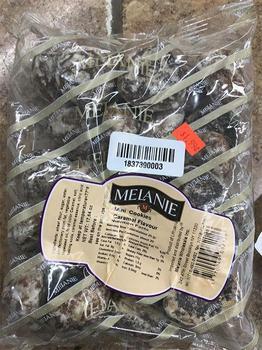 Melanie Wholesale of Brooklyn, N.Y.. is recalling Melanie Mini Cookies with Caramel Flavor. The product contains peanuts, an allergen not declared on the label. The recalled product, which comes in a 17.6-oz. (500g) clear plastic package with the product UPC 4770049082126, was sold in retail stores nationwide. Consumers with the questions may contact Sergey Trotsky at 718-492-8492.